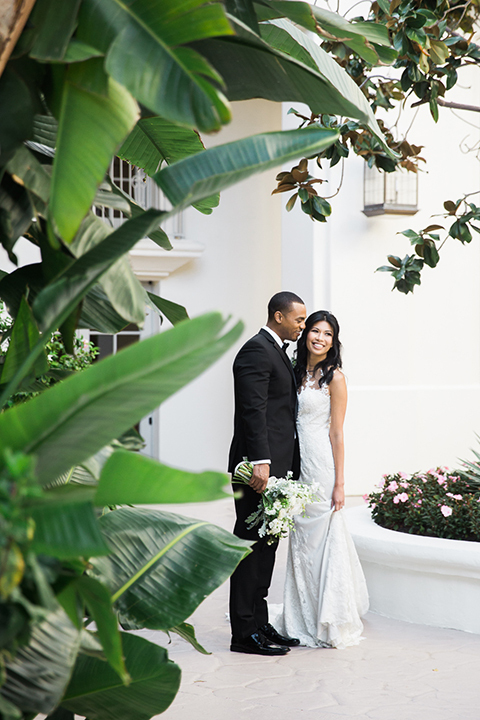 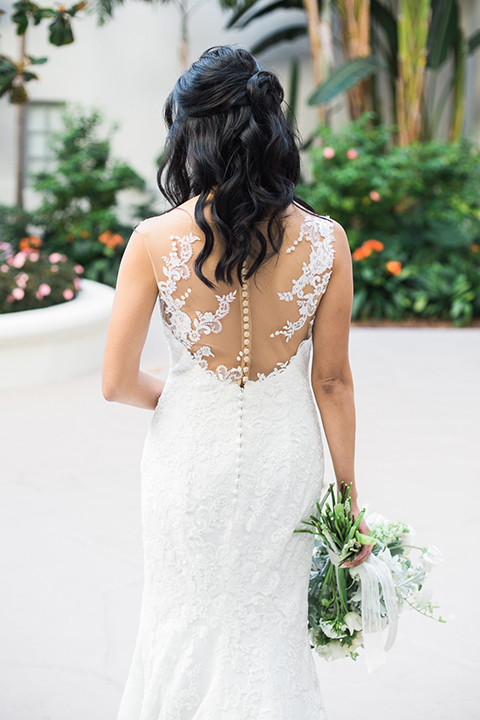 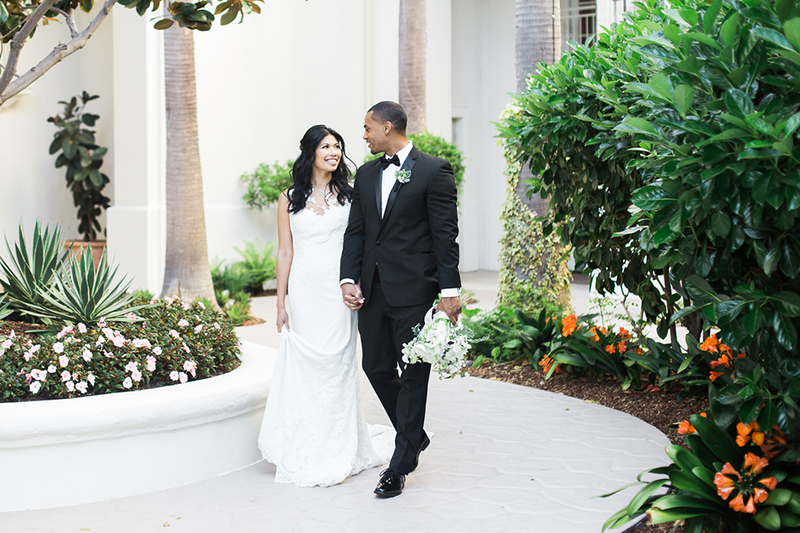 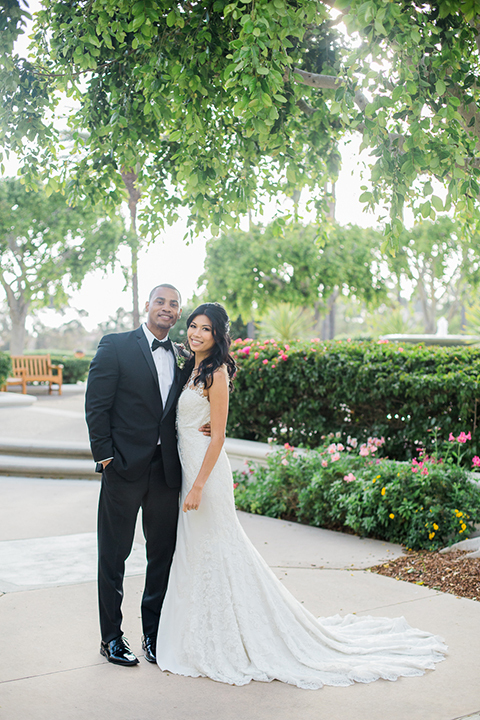 The Park Hyatt Aviara in Carlsbad is known for lavish, elegant weddings. 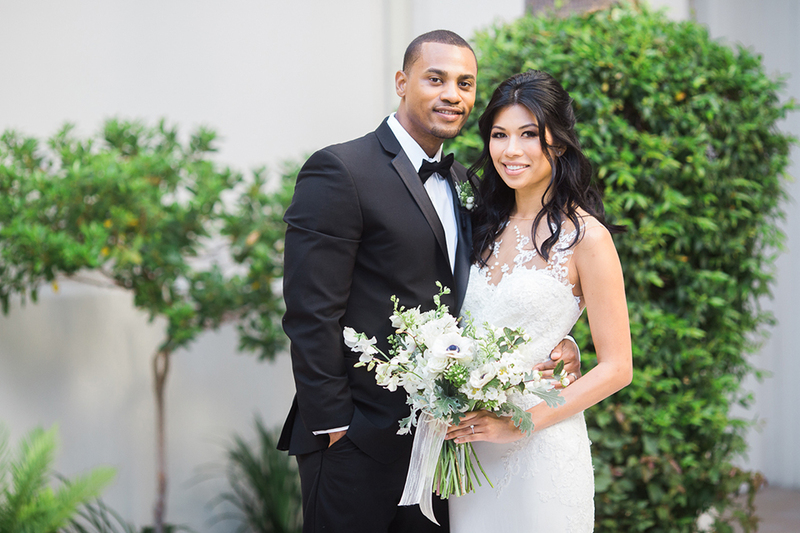 It's exclusive and private and that's why some celebrities even choose it to tie the knot. 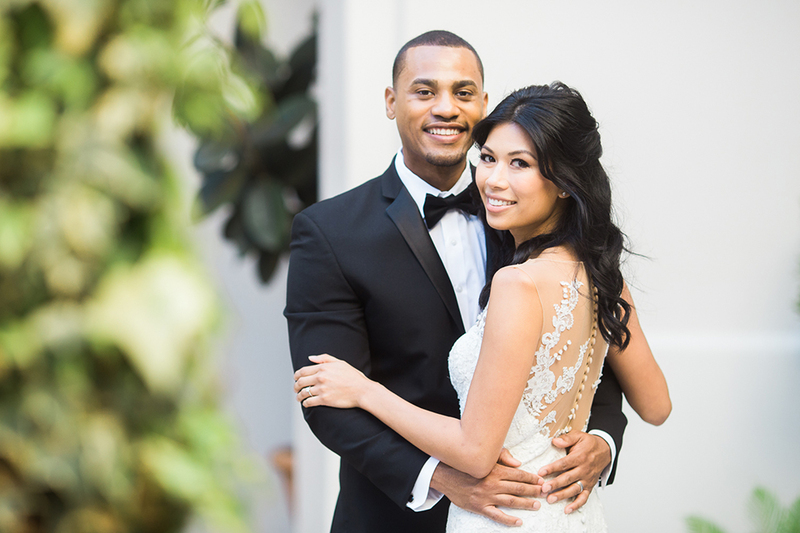 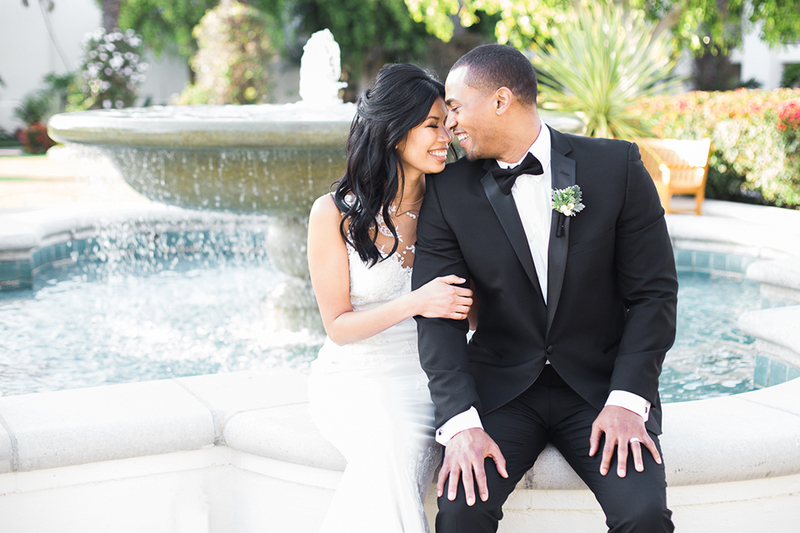 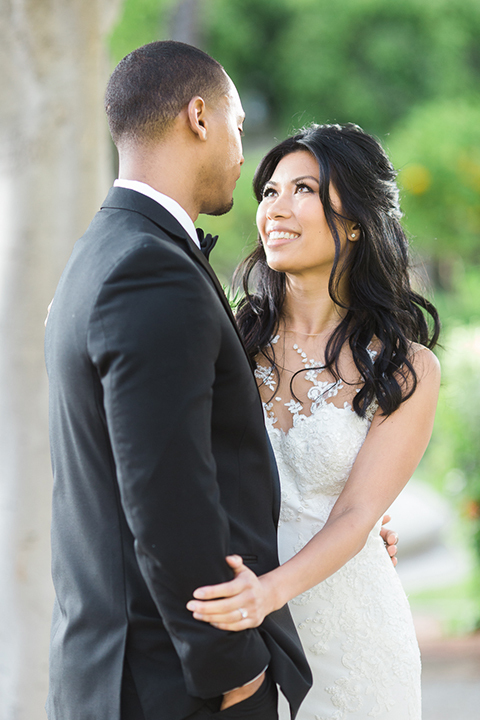 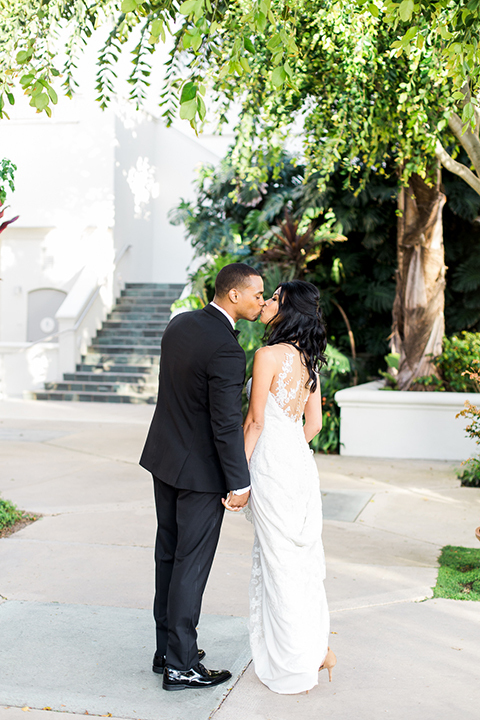 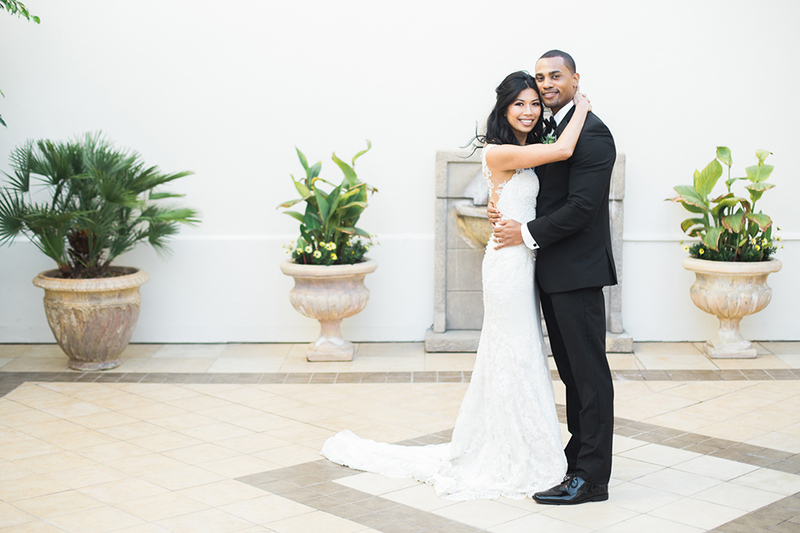 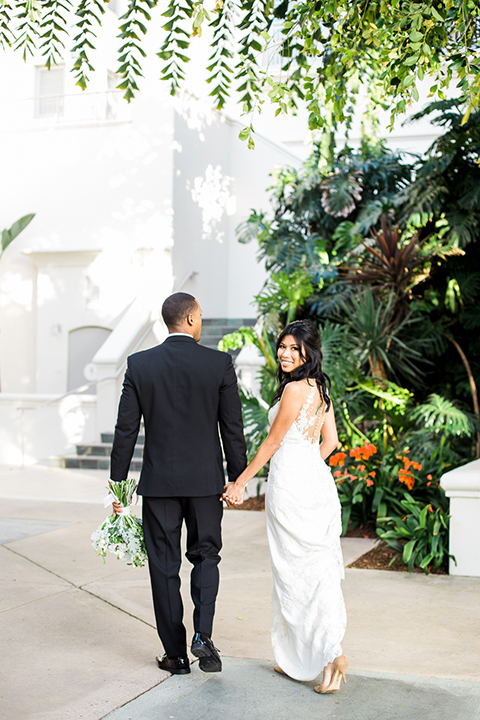 When Evelyn Molina Photography contacted us for a black tie wedding shoot we were in! 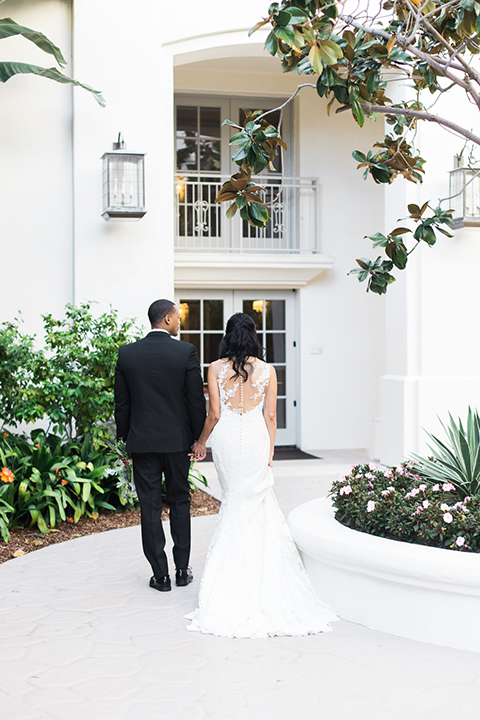 The pure black and white color palette worked perfectly with the white buildings, greenery and waterfountains at the venue. 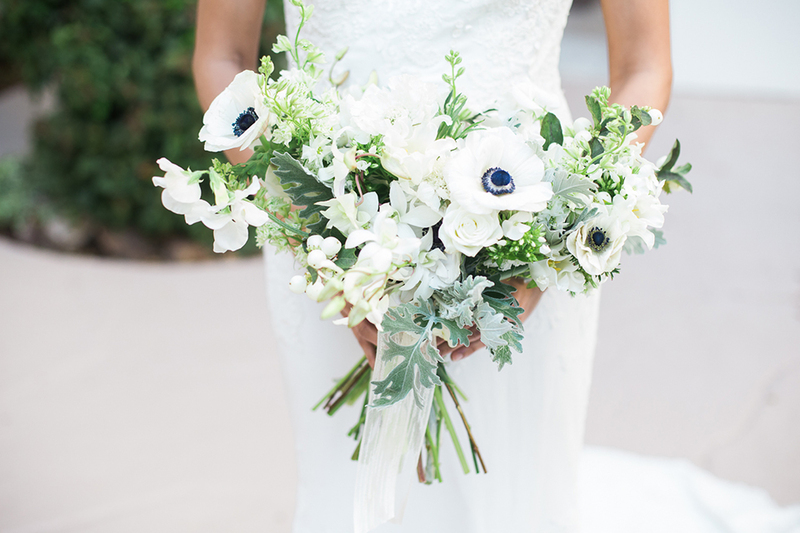 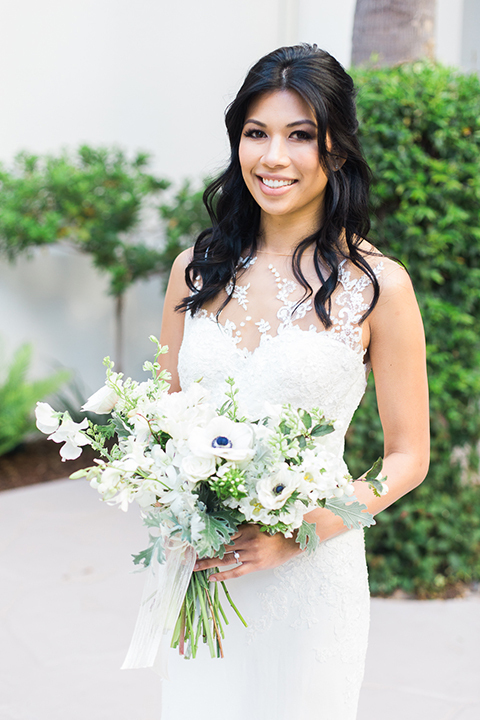 Even the bouquet was all white flowers with black accents. 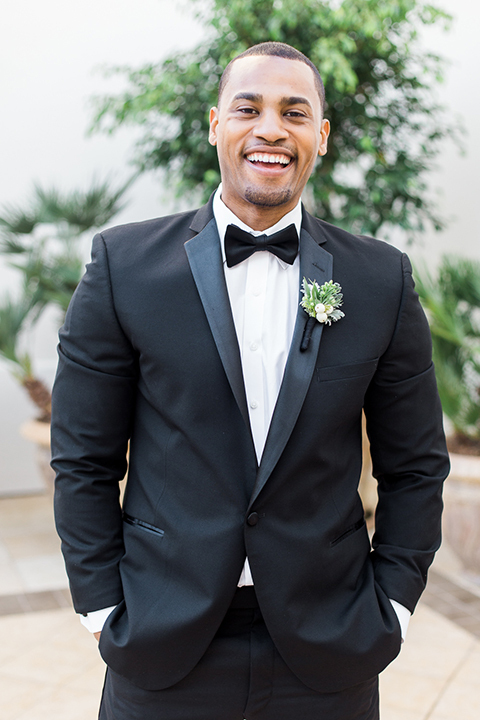 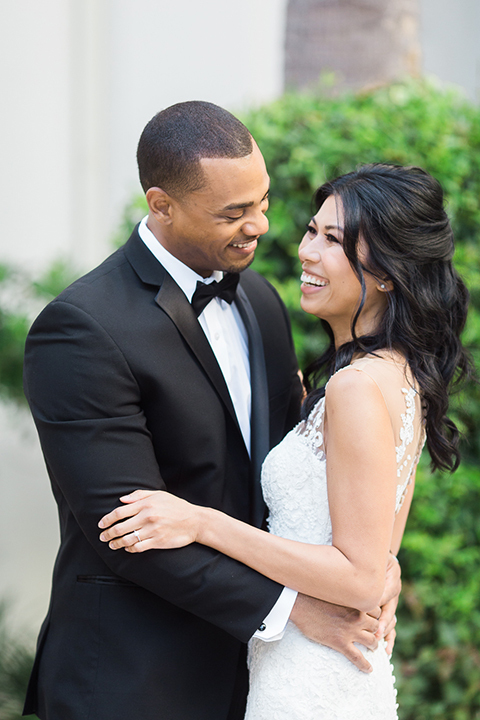 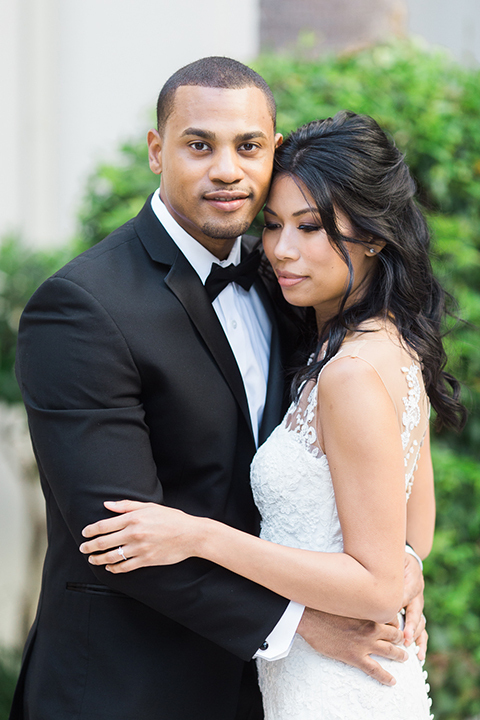 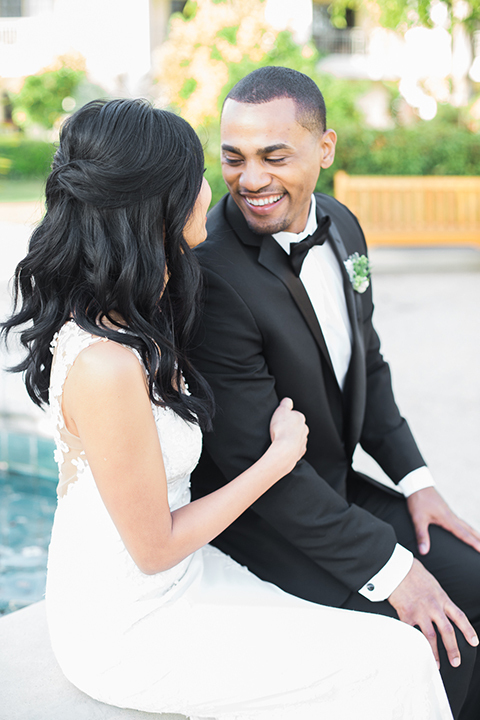 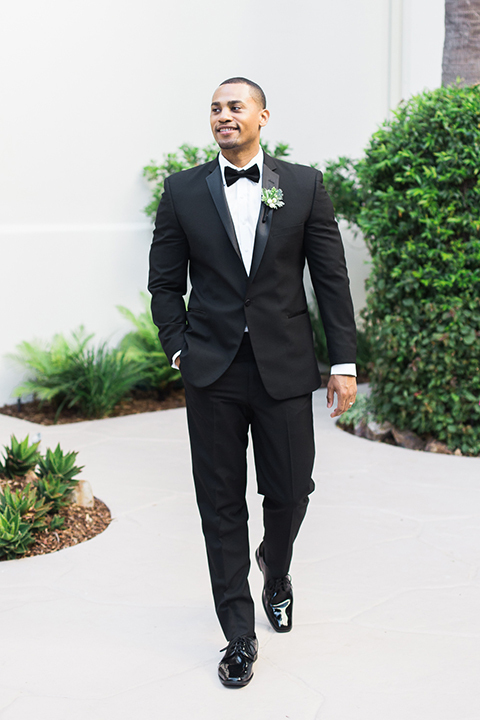 The groom wore our black Michael Kors tuxedo with a black bow tie like a pro next to the bride's white sheath gown with lace accents. 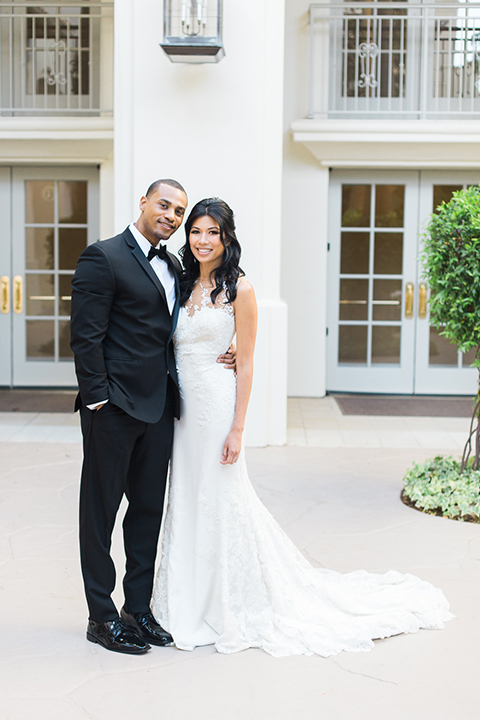 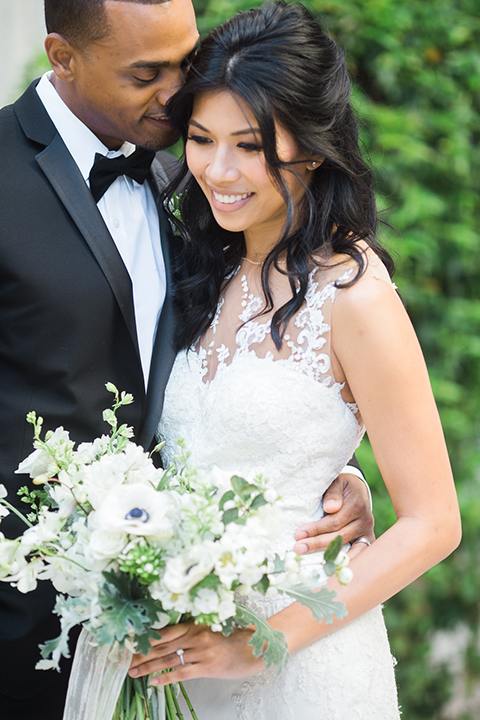 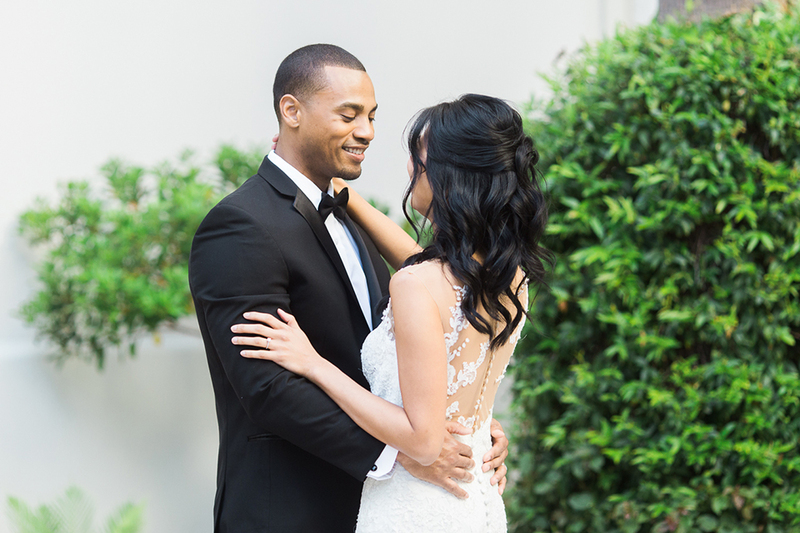 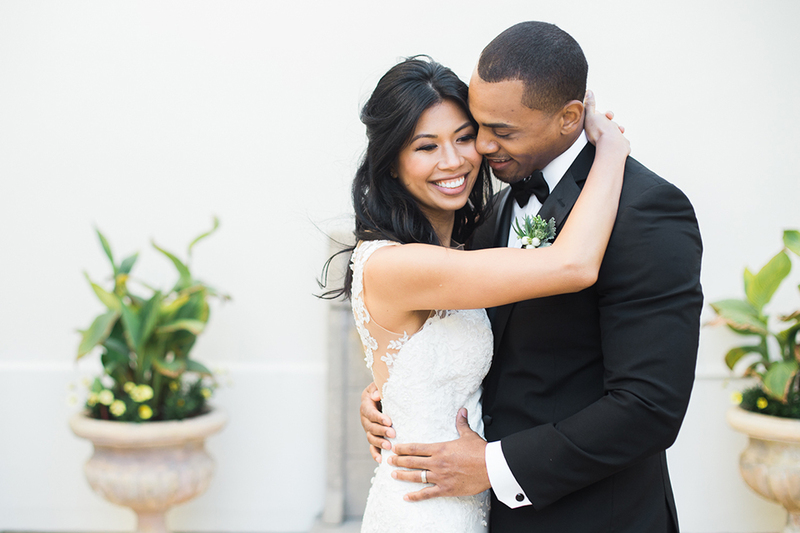 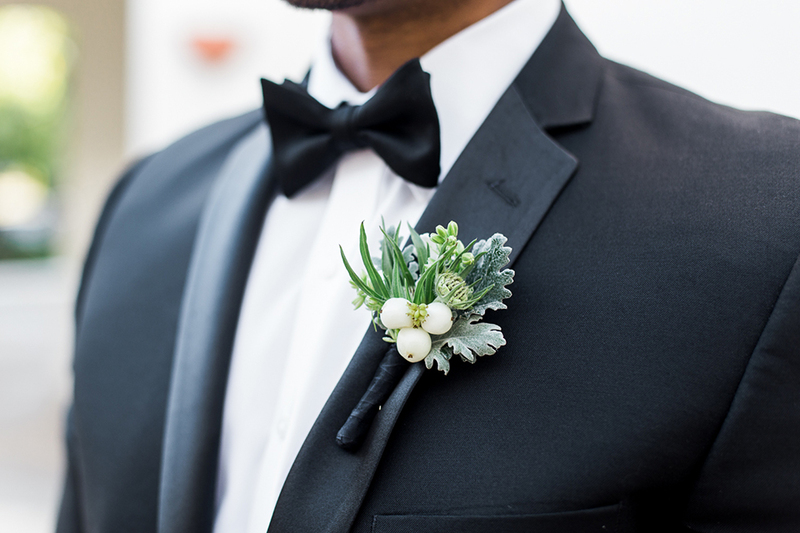 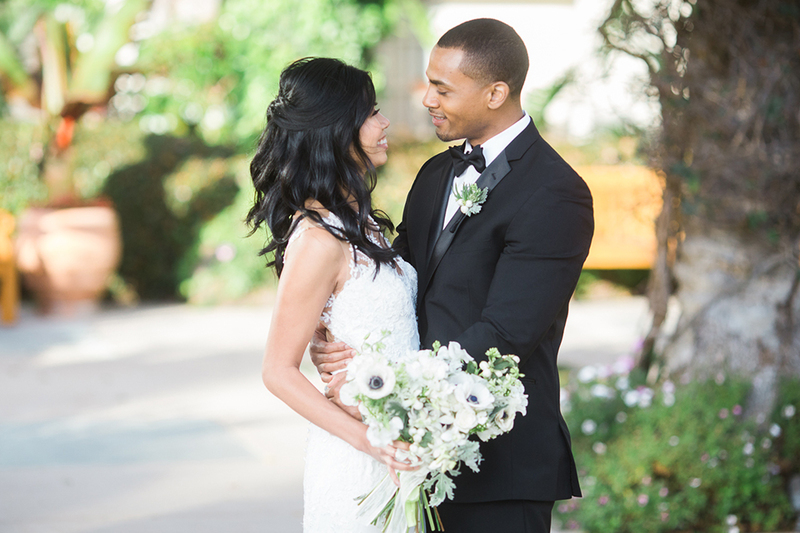 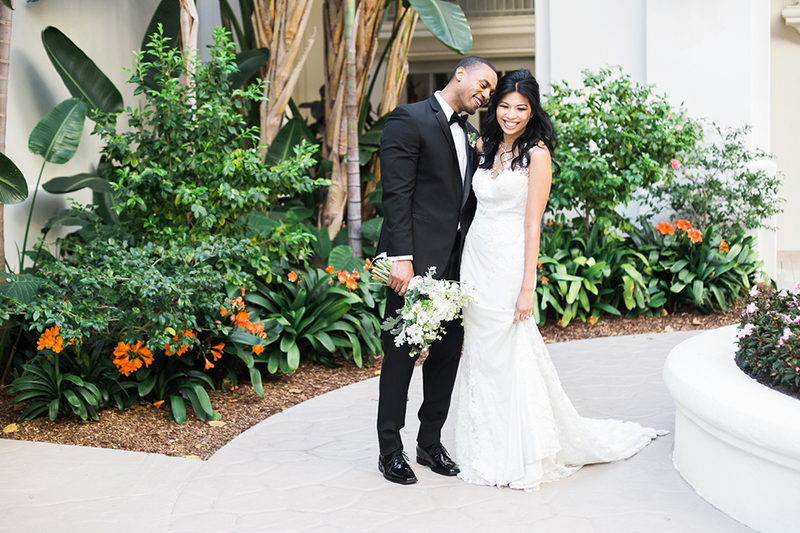 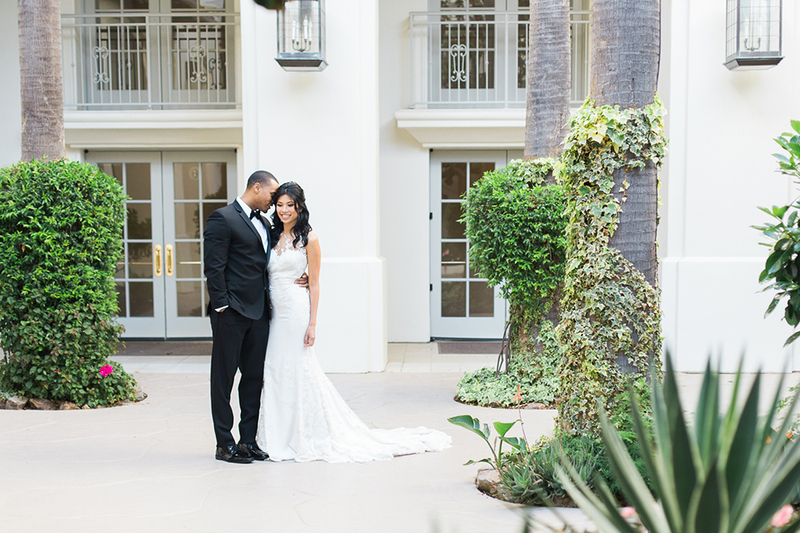 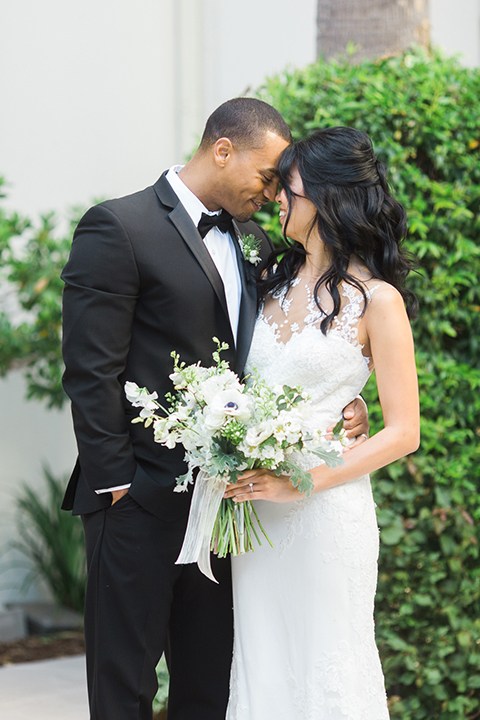 This black tie wedding created all kinds of #goals, so we hope it inspires you!